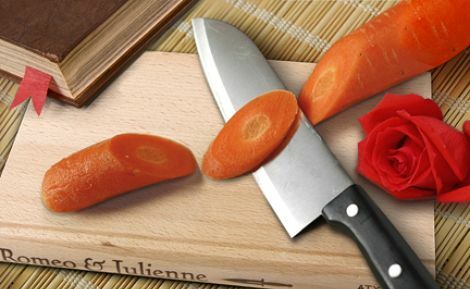 if your kitchen is filled with cookbooks why not add one more to the mix with this clever 6″ x 9.5″ beechwood cutting board from our french friends at atypyk? just put it next to all the other ones when it isn’t in use. 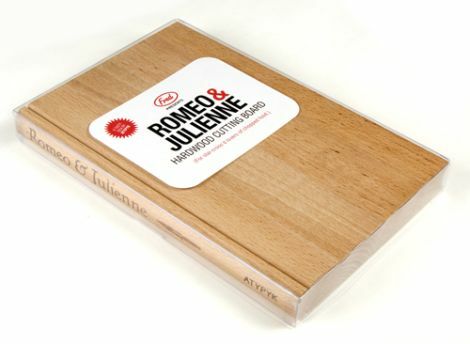 haha – wouldn’t this make a terrific gift for a book lover!? $29 at generate (and see more cool stuff at atypyk’s shop too!). This is really fun, Gigi. I love visual puns and this is a great one. 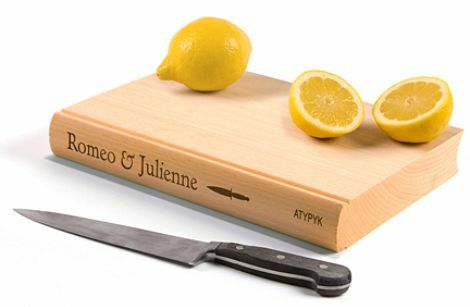 Such a good gift for the bookworm/home chef. Totally inspired. i think this little thing is fun too. at first i thought it’s a bit expensive for a hostess gift but if you go to the shop and get flowers without a vase and bring them for dinner, it’s more work for the hostess to do (even if it’s a few dollars less). and this is little so it wouldn’t take up much room at all — good for the bar. two thumbs up!